Bakeaway with Me: FFWD St. Germaine-des-pres Onion Biscuits....sans onions! FFWD St. Germaine-des-pres Onion Biscuits....sans onions! Happy Friday everyone! Today our recipe is St. Germaine-des-pres Onion Biscuits! Sounds great! However, in our house you don't put onions in biscuits! My husband really...REALLY dislikes onions in baked goods. He now tolerates onions added to cooked food but, never in a bread or biscuit! So, to make all the people who live in this house happy, I chose to make my biscuits sans onions! These biscuits were very easy to put together and that made me very happy because, I spent the day cutting up Kumquats and making marmalade! Which, coincidentally went very well with the biscuits. I don't know why but, I have never made biscuits before. I usually opt for a quick bread. These were so easy and came out so delicious and buttery. I will definitely be adding these to my list of quick breads to bake. Dorie did say the Onion Biscuits would be great with Champagne but, I enjoyed mine with my tea...smothered with my wonderful marmalade! You can find this recipe in Dorie Greenspans cookbook "Around My French Table" or here where Dorie shared the recipe on Amazon. To see what other Doristas are up to, you can find it here at the French Friday web page. your biscuits are excellent and the Kumquat jam look amazing .. love the bright color. Kathy, this is so bizarre! I just stopped by via-foodbuzz ...buzzed you, and left a long comment, and I don't see it showing up. I was actually happy that I was the first to comment. The kumquat jam looks like a perfect topping for your biscuits. Your biscuits looke great, Kathy. Kumquat marmalade sounds wonderful, though probably not good if you had added the onions. I was thinking these biscuits would be good (sans onions) with caraway seeds and raisins soaked in whisky for the upcoming St. Patrick's day eating frenzy at my house. I've definitely made biscuits before..but never had them with champagne!!! I agree with you, tea is perfect!! And these turned about beautiful! especially for your first try at biscuits?! wow..must be a great recipe! Kathy, your biscuits look wonderful:) I really like your kumquat marmalade. My mouth was watering just looking at the picture. Have a great weekend. Gorgeous biscuits, I love your Kumquat Marmalade;-) Many people are not lovers of onions, that's for sure! These look wonderful with your jam on them. I've made lots of the biscuit recipes in "Baking From My Home to Yours" and they always turn out great! Have a terrific weekend. Even though I could never eat onions so deathly allergic these still look amazing! Those biscuits look so light and flaky. I love that you got to use your homemade marmalade on these. Kumquat homemade marmalade - oh, that sounds so delectable. The biscuits are so light and flaky - very pretty! addition of the onion had something to do with that. I noticed a few people mentioned theirs did not rise. Your marmalade totally makes these biscuits, which are plain without some yummy flavor. We liked the onions and that flavor was fun for a change, but your biscuits and marmalade could be a regular. Well done. I bet these still tasted fantastic without the onions because they look amazing! Happy Friday to you too Kathy. Mmmmm, biscuits with marmalade and a nice cup of tea sounds perfect. These biscuits sure look like a winner. Perfect texture, I wish I had one in front of me now-yum! Glad to meet you Kathy-have a great weekend! Your biscuits look lovely! The onions were a great addition, but I am sure these biscuits can hold their own plain and certainly with your homemade kumquat marmalade! I should have known to skip the onions...smart call, Kathy! Yours look perfect. Oh these look amazing - and simply perfect with the marmalade - LOVE Darina Allen!! That jam looks delicious and I bet it was great with those biscuits. I was actually surprised at how mellow the onion flavor was in mine, probably because the onions were sauteed first. But sometimes it's better to make a small tweak in order to keep the household peace. I love making my own biscuits! Your biscuits look beautiful! I'll take a jar of kumquat marmalade...please! Nice job on the biscuits - they look nice and golden and rose well! Kumquats in Greece can be found in only one island called Corfu on the northern part of the country! They are so flavorful and I am sure your marmalade was a success just like your biscuits! 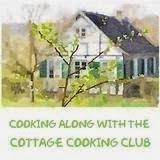 You have a lovely collection of recipes in your blog! Gotta tell you that you have the best looking biscuits! I thought about leaving the onions out as I love biscuits with jam, too. Aren't you glad you had a good reason to do so? Wow - that last shot just inspires. I love savory baked goods - maybe more than sweet ones (maybe). Will be looking up Dorie's recipe. It's raining - a perfect day for baking. Your biscuits look perfect! I love this recipe too and will now be using it as my go-to biscuit recipe, with or without the onions.